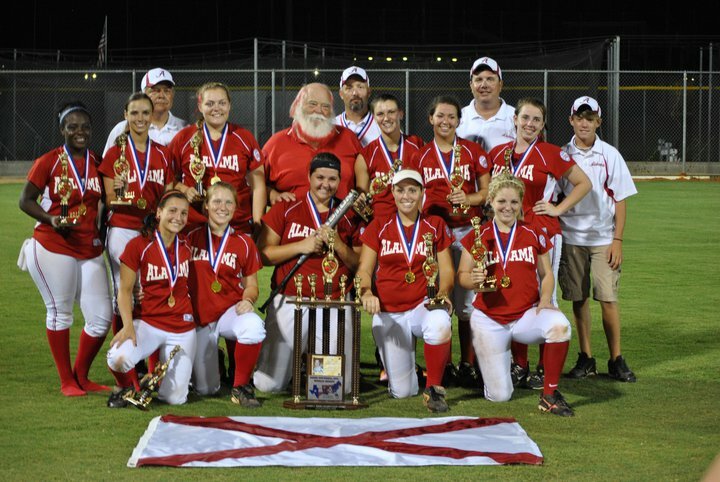 The team, coaches, and the Debs Commissioner (Jerry "Santa" Flowers) with the World Series Championship trophy. 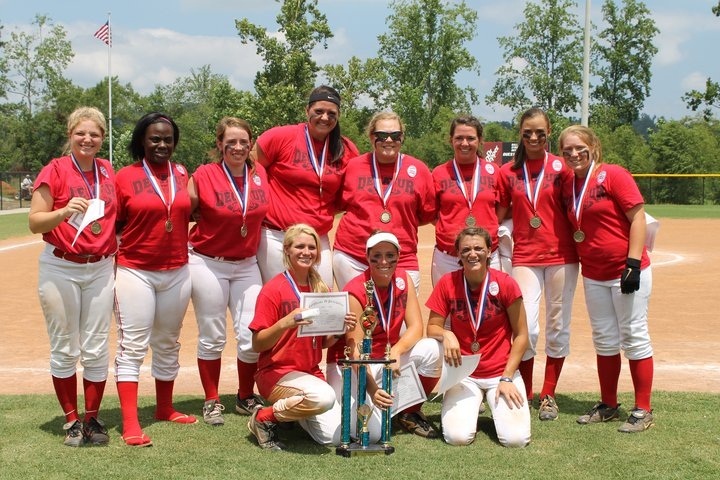 The team had just defeated the host, Alexandria Louisiana. In Dixie World Series play, the State flag from both teams is flown behind the outfield fence. When a team is eliminated - or, in Decatur Debs case when they WIN the CHAMPIONSHIP, the press box asks everyone to focus their attention to the outfield as the team removes their flag and carries it back to home plate. 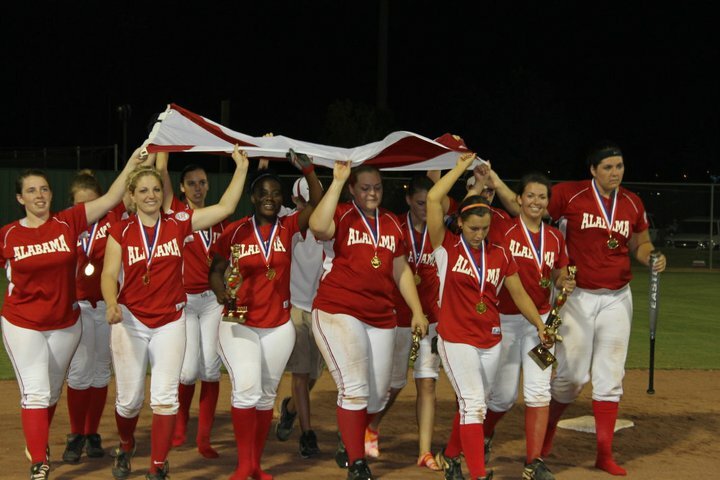 The second picture is of the team carrying Alabama's flag.